Betina lives in Zion Canyon and has facilitated workshops for twenty years. In the 1960’s she was a student of archeology in Mexico where she began to see the benefits of the ‘curanderisimo’ folk healing practices. Over the years she has studied with Andean, Mayan, Siberian, Tibetan and Native American shamans and healers as well as contemporary holistic traditions such as healing sound, energy medicine and well being. 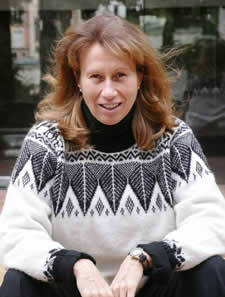 She is a writer and the author of Sacred Earth, Silent Angel: The Healing Energies of Zion Canyon. 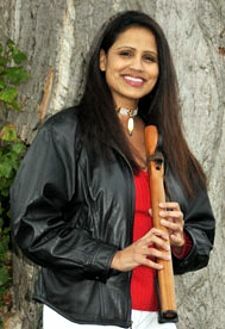 She is the founder of the Zion Canyon Native Flute School. She teaches and works as a Shamanic therapist and sound provider with individuals and groups who are also healers among us. 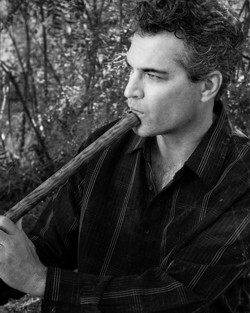 Cornell Kinderknecht is an award-winning recording artist, performer and teacher of flutes and other wind instruments from around the world, including Native American flute, Bansuri flute, ocarina, recorder and bamboo flutes. As a lifelong musician, his musical style draws from his experience in the areas of world, Classical, pop and folk music. 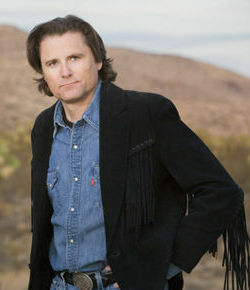 He has received numerous awards and he and his music have graced the stage of the prestigious Carnegie Hall. His passion of combining creativity and intuition with fluid musical technique, results in an expressive style that exhibits ease and grace. He has been teaching world flutes for over fifteen years, inspiring players at any level to explore their musical voice and to have music as a lifelong, natural creative outlet. Cornell’s light-hearted teaching approach puts students at ease. In addition to teaching at the Zion Canyon Native Flute School, Cornell is the director of the Pacific Northwest Native American Flute Gathering on Vashon Island and serves on the board of directors of the United States Ocarina Association. In addition to being an accomplished composer and recording artist, a dynamic improvisational musician and lifelong performer, and an instructor of Native American and world flutes for over eight years, Joe Young is also a professional sound engineer. Bringing his broad perspective of all aspects of live performance to the classroom, from showmanship to musicianship to technical savvy, Joe has a passion for inspiring creativity in his students by expanding their musical boundaries and building confidence through encouraging experimentation. Joe's innovative talent and passion for his art are especially evident during his engaging live performances. 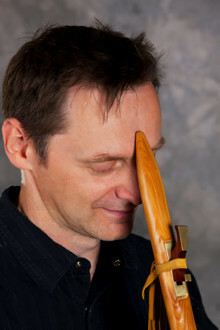 On stage, he captivates audiences nationwide with his creative versatility on specialty world flutes such as the Anasazi, Chinese xiao, Irish pennywhistle, Slovakian fujara and Chinese hulusi, as well as his professional command of the alto and soprano saxophones and Native American flutes. In a room full of flute players, Vera provides counterpoint — percussion and rhythm to accompany melodic flute, performance art such as poetry, or the use of visulization and emotion in creating deep music. She makes everyone in the workshop feel comfortable with themselves and their music. Coming from a marketing background, she brings a perspective of “knowing your audience” and encourages flute players to expand their musical repertoire of styles so that they can serve a wider audience. 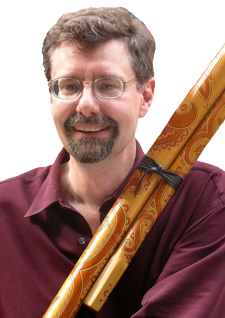 Clint Goss, Ph.D. is a trained music facilitator and performer on world flutes and an array of ethnic fusion world instruments. Clint and his wife, Vera, have facilitated energetic and inspirational Native Flute workshops since 2003. They bring out the musical potential in all participants, focusing on techniques that make music expression accessible to players with all levels of musical experience. Clint and Vera will facilitate the Intermediate-1 track this year … here is a tentative topic list for Clint & Vera's Intermediate-1 group. As an educator August is known for his comprehensive workshops for Native Flute and Anasazi flute instruction, composition, improvisation, and the more practical aspects of recording, music production and the music business. His book The Complete Guide to the Anasazi Flute has become the standard source for information about this unique instrument. 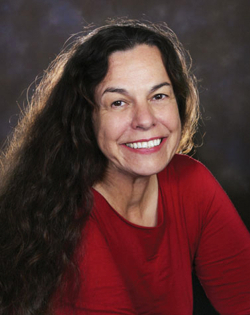 Rona Yellow Robe will be teaching the “Beginners” workshop this year. She will be under the guidance of her own experience of 10 years of learning and playing and still learning, as well as by John Vames' guide, The Native American Flute, Understanding the Gift. Those who would like to take on this workshop will have a very gentle, fun-loving experience as you learn Finger Control, Breath Control, Knowing your flute, Basic Notes, and Embellishments such as tonguing and slurring, and much more. I am looking forward to meeting my students with song, and being a part of the Zion Canyon Flute School. It means a lot to me to pass on the gifts that have been passed on to me by teachers that I hold with highest honor and respect.